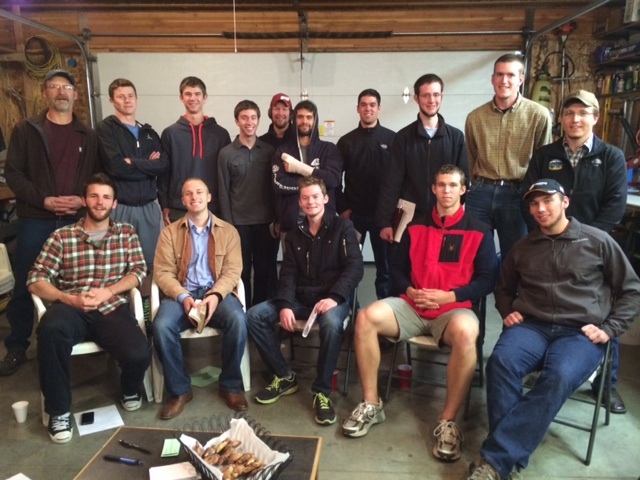 Young Christian men need encouragement and accountability. Some need the basics of the faith reinforced. Some need to hear what they’ve already heard, but from a different voice. Some need opportunities to serve with their hands. Others need to be exhorted and equipped to minister to their peers. The young men’s discipleship ministry I’ve labeled “Sheepdogs” targets these things. This fall there are twenty-plus young men in two Sheepdog groups. In these groups they work through a series Bible studies, memorize Scripture, and are personally mentored by Mr. Gray. The goal is for the Sheepdogs then to team up and lead other student Bible studies through the same material. They also volunteer some of their time to serve the church and community. They’ll be chopping wood, raking leaves, shoveling snow and helping with other projects. “The glory of young men is their strength” (Pro. 20:29).